The preparatory school encourages girls to be determined, intelligent and compassionate. Head of School Miriam Feldman offers a hug as well as a diploma to one of the dozen graduates. The 12 young women in the Temima Class of 2017 received four letters of advice to take into the world after four years of high school: no and we. 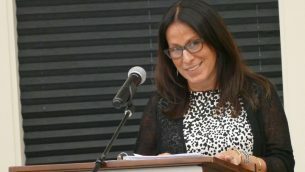 Lori Kagan Schwarz, who was recognized during the graduation ceremony at Congregation Beth Jacob’s Heritage Hall on Thursday, June 15, as the 2017 honoree of the Richard & Jean Katz High School for Girls, told the graduates the power and importance of those two little words. “I stand here in spite of the word no, and I am fulfilled and enriched by the impact of we,” she said. Honoree Lori Kagan Schwarz deflects praise during her acceptance speech, saying people from board members to faculty to donors to parents are far worthier than she is. Kagan Schwarz said you need at least one person in your life whom you can’t or don’t want to say no to. 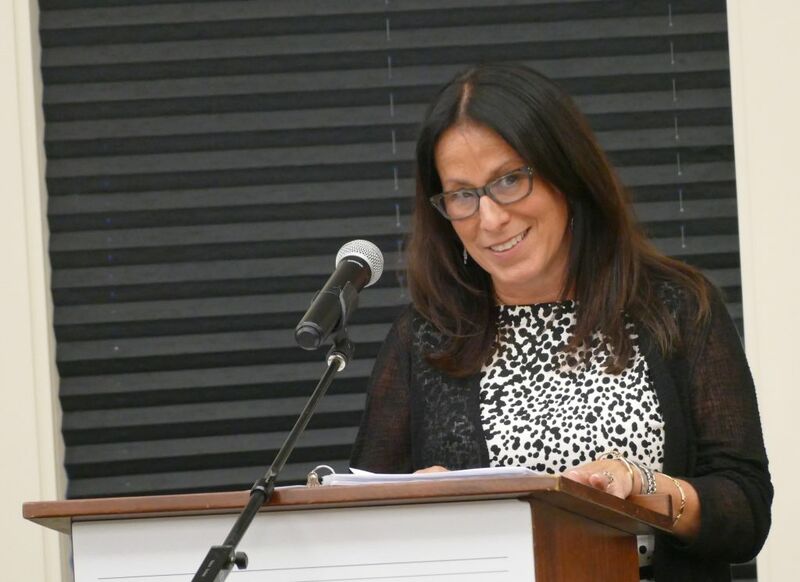 One of those people for her is Julie Silverman, Temima’s advancement director, who asked her two years ago to help the high school with strategic planning and board development, then asked her to be this year’s honoree. Diving in helped Kagan Schwarz expand her “we,” her favorite pronoun. 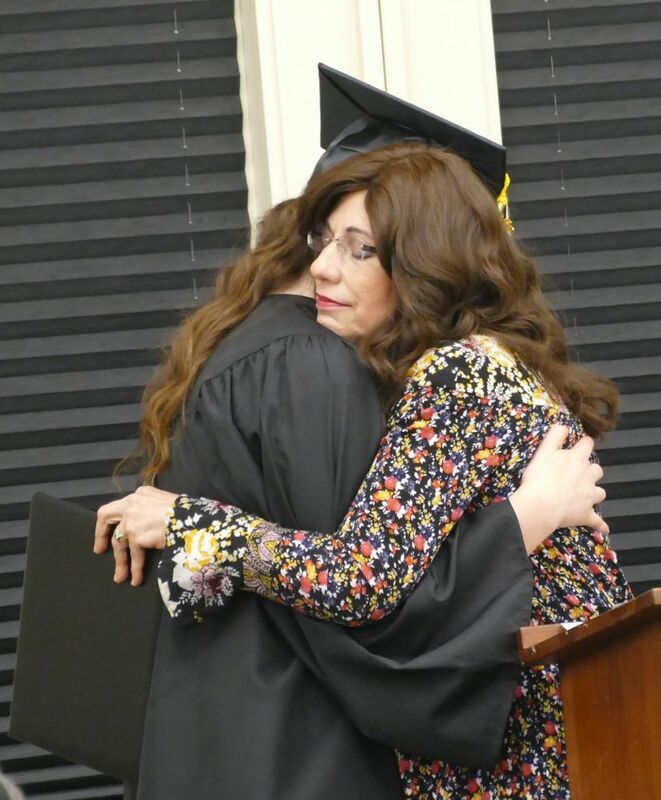 Although Lynda Walker had introduced her to the high school about 10 years ago, she didn’t know many of the board members or feel much a part of the school two years ago, and she already had served as the president of two other day schools, the Davis Academy and the Weber School. Now she’s part of a group embracing initiatives to secure Temima’s future, such as a scholarship drive. 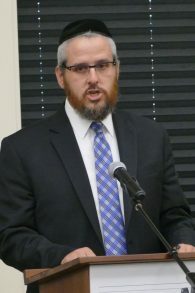 “We is what I really got out of this thing,” Kagan Schwarz said. 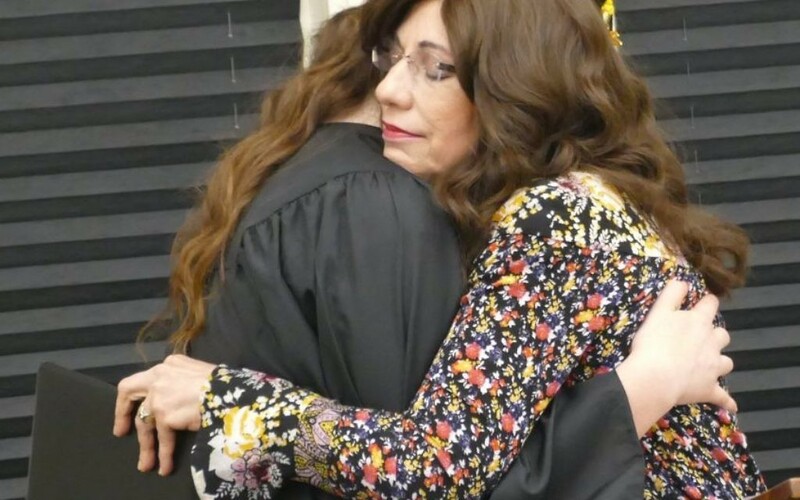 She advised the 12 graduates to approach their life plans just as the school board will use its strategic plan: as a guide to be adjusted continually along the way. “I hope you find people you can’t say no to and that you try as often as you can to be part of the we,” she said. 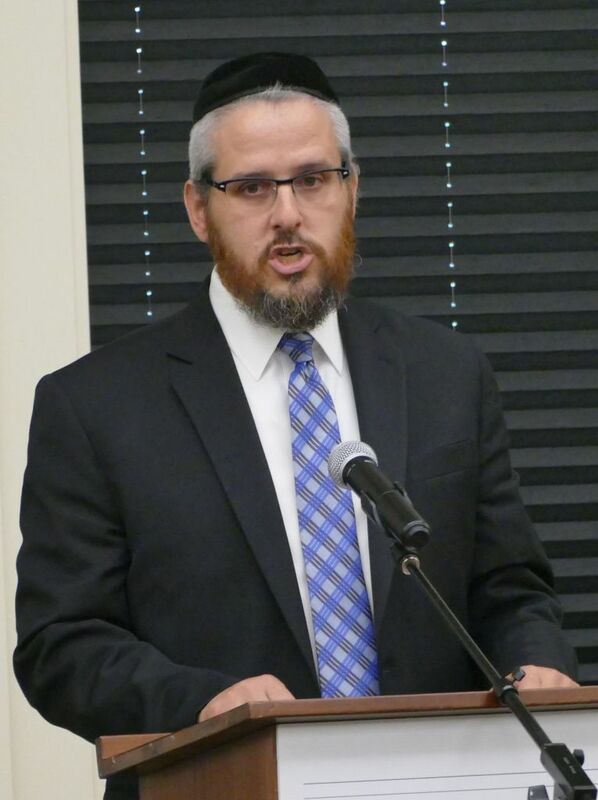 Rabbi Ariel Shoshan says Temima graduates do the work of sanctifying the world.